Multiple roof repair and replacement projects completed at Government Courthouse and Administration facility in Virginia. Roof replacement included off-hours work over top of the main courtrooms, administration areas, and historic courthouse. 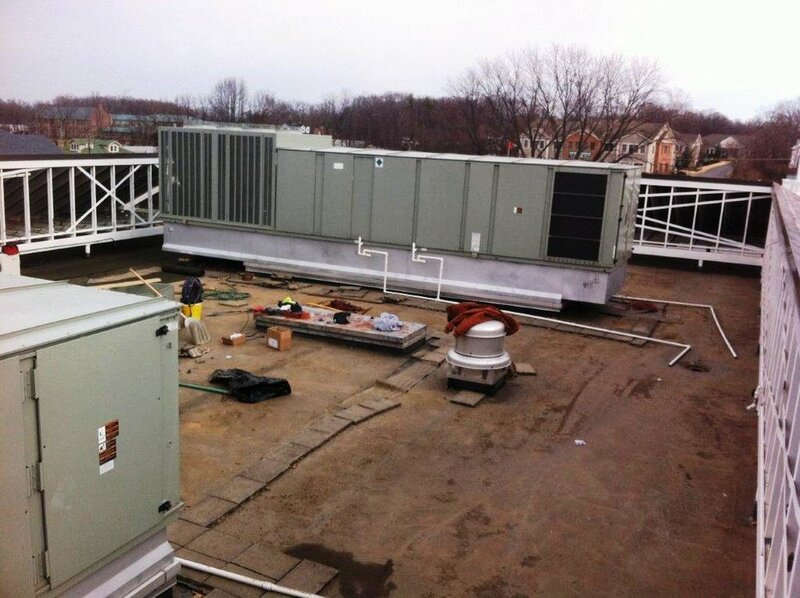 Both low-slope and steep-slope roofing with difficult access were completed. Slate repairs and replacement, sectional roof replacement with new modified bitumen roofing set in cold adhesive, and shop fabricated metal components were utilized. Close coordination with government officials and maintenance staffs were required to minimize visibility and have zero impact on day-to-day operations.